Looking to accessorize your INFINITI vehicle in South Greenwood? 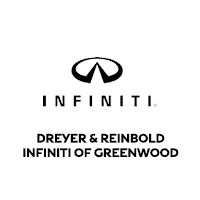 You won’t need to look any further than Dreyer & Reinbold INFINITI of Greenwood’s INFINITI accessories department. We boast a large inventory of original accessories by INFINITI, and are sure that you’ll find what you’re looking for on our lot. Should you have any questions about finding the correct ones for your car, call us at 317.782.5948 or contact us via email. If you’re looking for a particular accessory that you cannot find in our inventory online, let us know and we’ll find it for you. So what’s holding you back? Visit our South Greenwood INFINITI accessories department, where our expert staff is waiting to serve your needs!